This is the highly effective combination of a professional and qualified security officer and a trained security K9. Guards are paired with an intensively trained German Shepard or Rottweiler, two of the most intelligent and toughest dogs available. The dogs are trained to not bite unless it’s necessary. The appearance of a K9 unit is often enough to deter potential intruders before they make an entrance into the property. Dogs have a sense of smell and hearing that is fifty times more effective than humans. We utilise the K9’s superior sense of tracking and smell to search for intruders and alert their human counterpart. 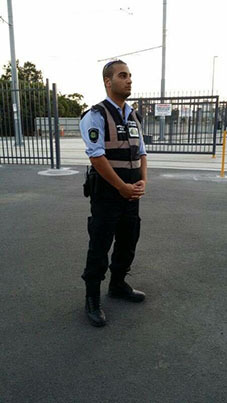 A K9 Security Guard unit is a wise decision for many different types of businesses. Some commercial applications include shopping centres, real estate display homes and new builds, construction sites and warehouses. Basically, anywhere vulnerable location after hours, that could be a potential target for an intruder, can be secured with a K9 and security guard combination. Many of our dogs used to be a part of the police or military. They all have extensive security training with professional trainers. These dogs are trained to know when they are on duty and should be alert, and when they can relax. They are passionate about the protection of their handlers and other guards. Most importantly, the guard has full control of the dog and can command it to bark or stay silent. Primarily the aim is to reach and detain the intruder with the least force and aggression possible. 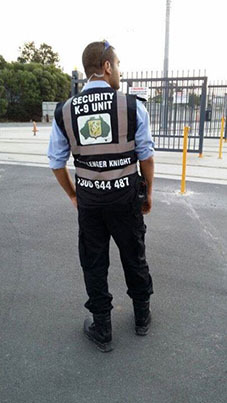 K9 security guard services are an effective way to protect your valuable assets. Trust in Challenger Knight Security for the service that has benefited a countless number of prominent Australian brands. Call today!